this has got to be one of the freakiest birds i've seen down here. 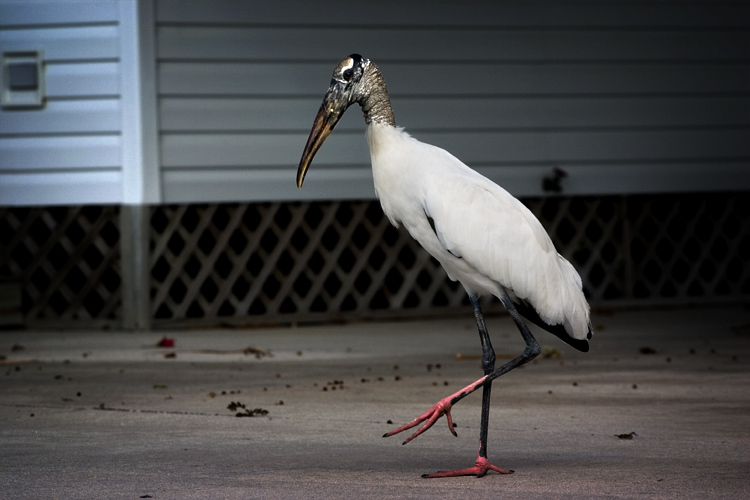 i believe it's a wood stork. is this really where babies come from? you'd think whoever made that up would've picked something a little more friendly looking. check out this photo. it's an amazing shot by a fabulous fellow florida photoblogger.